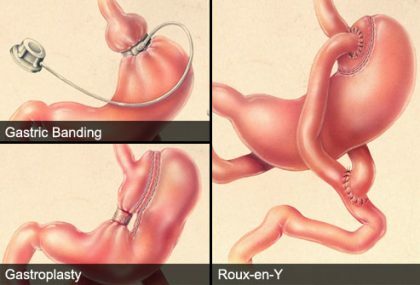 According to researchers from the Surgical Department of the University of Heidelberg in cooperation with the Study Center of the German Surgical Society, Bariatric surgery prevents development of microvascular complications better than medical treatment and it markedly reduces the same in Diabetics compared to medical therapy. The research has found that the risk of developing microvascular diabetic complications was 4-fold reduced in patients with type 2 diabetes undergoing surgery compared with patients with current guideline-based medical therapy.Their findings have been published in British Journal of Surgery. Microvascular complications of diabetes include diabetic nephropathy, neuropathy, and retinopathy, which affect the kidneys, nerves, and eyes, respectively. These diabetes-related complications are responsible for the high healthcare costs of type 2 diabetes and the leading causes for dialysis, amputations, and blindness in the Western world. The risk of developing microvascular diabetic complications was 4-fold reduced in patients with type 2 diabetes undergoing surgery compared with patients with current guideline-based medical therapy. The analysis also found that pre-existing diabetic nephropathy was strongly improved by surgery compared with medical treatment. The likelihood for improvement or remission in patients with diabetes-related kidney damage was 15-times higher after surgery compared with current medical therapy. “Medical therapy for type 2 diabetes seems to have reached its limitations, even with the newly available drugs. Metabolic surgery strongly reduces the risk for diabetes-associated complications and seems even to improve existing diabetic kidney damage in 1 out of 2 operated patients,” said lead author Dr. Adrian Billeter, of the University of Heidelberg, in Germany. “Such strong and reliable effects, especially on very difficult-to-treat diabetic kidney damage, are not even remotely possible with the current medical therapy,” added senior author Prof. Beat Müller-Stich, also of the University of Heidelberg.